Do You Take Your Gear Bag On A Plane? Shield Your Bag With Our Dita Black Duffel Protector! Black, rip-stop nylon, draw-string bag. 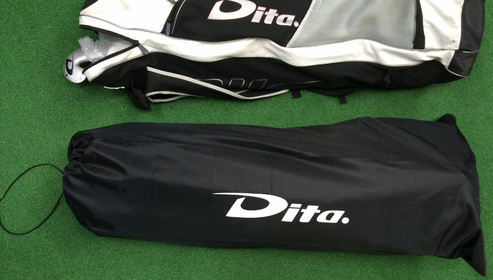 19" X 43"
Covers and helps shield your gear bag from dirt, oil, and torn straps. This is an outer cover and is not intended as a gear or stick bag. "We have flight tested these bags and they really help keep our hockey gear bags looking fresh and new. I even use one on my regular checked baggage.